Home » New Pokies » See the epic battles in the latest Microgaming pokie! 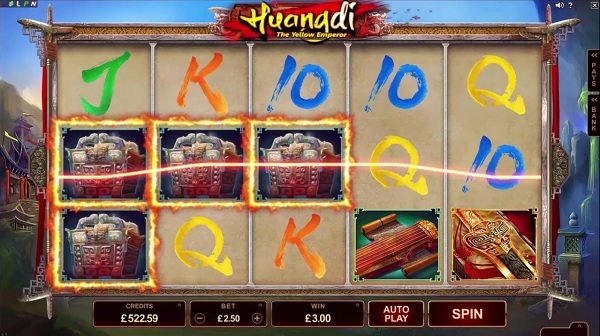 Microgaming has announced the release of their latest video pokie game Huangdi The Yellow Emperor. The theme of the game comes from Chinese legends and history where Huangdi was a great warrior and a merciful emperor. The symbols in the game revolve around him and Huangdi and his sword are the highest paying symbols. The game has 25 active pay lines with 5 reels and 3 rows, where the bet levels can go from the minimum $0.25 to the maximum of $50 per spin. The animations and visual effects used are on a high level so Huangdi The Yellow Emperor is a game which is attractive to the eye. Many experienced players will see that Huangdi The Yellow Emperor and Ariana are basically the same game. We can say that we expected more originality from Microgaming for a new video pokie game like this, but even so they made sure to add some crucial details to make each game unique. The features of the game are attractive and that will definitely be the detail all players will love. We love that Huangdi The Yellow Emperor has an interesting base play feature which can payout nicely. This means that you can get big wins even during base play without triggering the bonus round. If one of the higher paying symbols lands stacked across the first reel all other matching symbols on the rest of the reels will expand to form winning combinations. This feature continues into the bonus round where the same rule applies for the wild symbol as well. 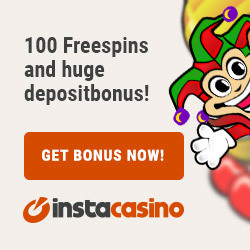 The free spins are triggered in the classic way with 3 scatters on the screen. You will be awarded with 15 free spins with the possibility of landing another 3 scatters which will award additional 15 free spins. With 30 free spins and expanding symbols Huangdi The Yellow Emperor can produce some pretty nice payouts. Like we said we expected some more creativity from Microgaming for a new video pokie game. Instead we got a clone of another Microgaming pokie that didn’t have much success among players. Still Huangdi The Yellow Emperor looks much better on a visual level so we hope it will attract many players to spin the reels and win. You can answer this question really easy even if you didn’t have a chance to try out Huangdi The Yellow Emperor for real play. If you ever played Ariana and liked her then you will definitely like this game as well. The basic rules are the same only the symbols are different along with the background music. Either way Huangdi The Yellow Emperor has the potential to produce payouts up to 60,000 coins which are reason enough to give it a try. We will have to wait a bit longer for this game to go live across Microgaming casinos before we have a chance to put it to the real test.